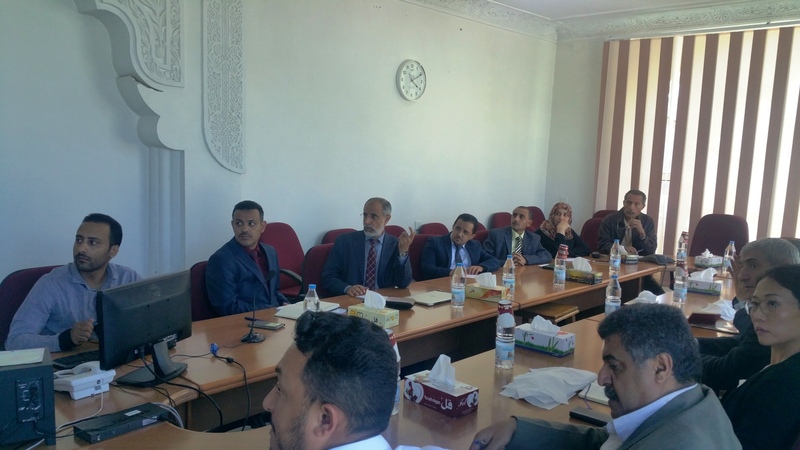 A short meeting was held at the headquarters of the Social Fund for Development (SFD) headed by Mr. Abdullah Al-Dailami, SFD Managing Director, and the UNDP mission headed by Mr. Murad Wahba, Assistant Secretary-General of the United Nations Assistant Director, Regional Bureau for Arab States, United Nations Development Program. The meeting reviewed the SFD ongoing activities, the geographic distribution of its projects and its targeting mechanism. It also discussed aspects of cooperation and partnership between the two institutions and means of enhancing them and developing them to serve their common objectives. This partnership will contribute to the delivery of aid to the poorest and conflict most affected groups in light of the current crisis and the difficult humanitarian situation. For his part, Mr. Wahba expressed his appreciation for the professionalism and dedication of the SFD's staff and it mechanism that has integrated with that of the UNDP. The meeting underlined the need to exchange experiences and work on the development of a common policy paper.